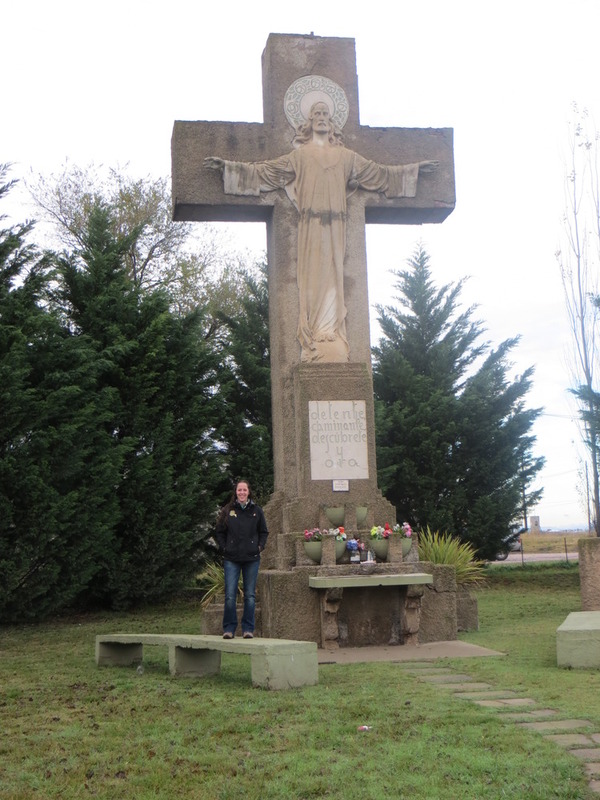 Among our new experiences with Argentine culture, food, people, and politics, we found a country permeated by faith, beliefs, religion, and spirituality. My personal experience supports the statistic (found on Wikipedia) that 70-90% of the nation claims Roman Catholicism. 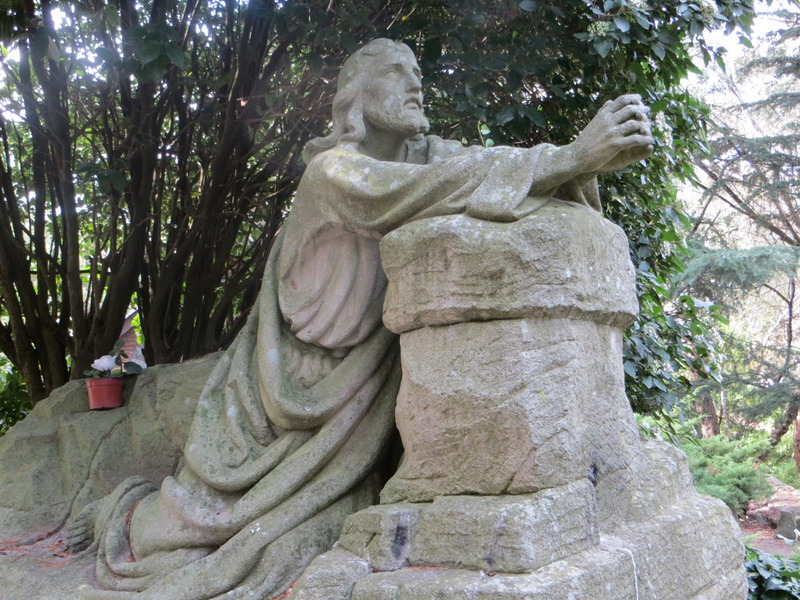 However, the level of ‘activity’ ranges from my host dad, Alonso, who attends Mass EVERY day at 8 am, to several other host families or friends who rarely or never attend Mass (some admitting sheepishly, and some not). 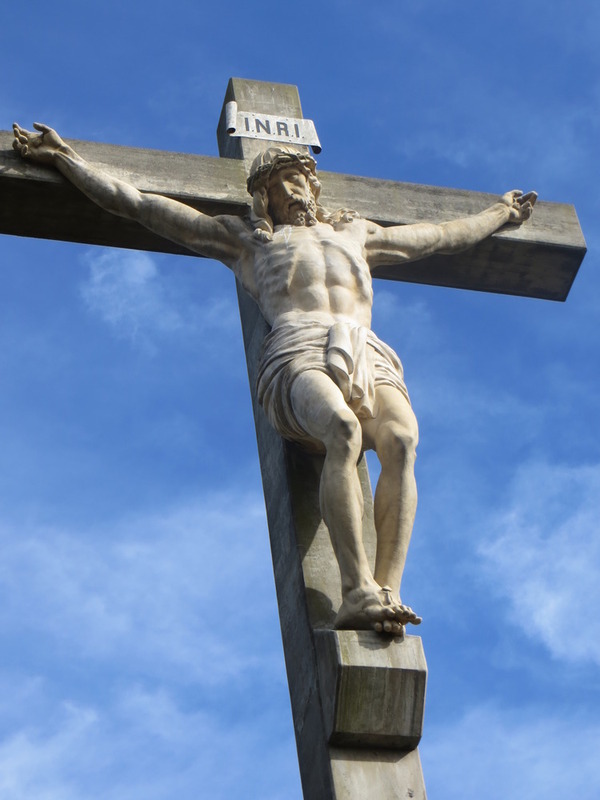 I enjoyed seeking out and observing different displays of faith throughout our entire journey. As mentioned in previous posts, the majority of Argentine people were very open to conversations regarding what Americans traditionally consider ‘taboo’ topics: politics and religion. I was thoroughly delighted to ask questions about their faith/religion/and beliefs without fear of being impolite. In return, many Rotarians, friends, host families, and students asked in-depth questions about my faith as well. (I am an active member of The Church of Jesus Christ of Latter Day Saints, also known as Mormons). I am so thankful for all that was shared, and for what I got to experience and learn. 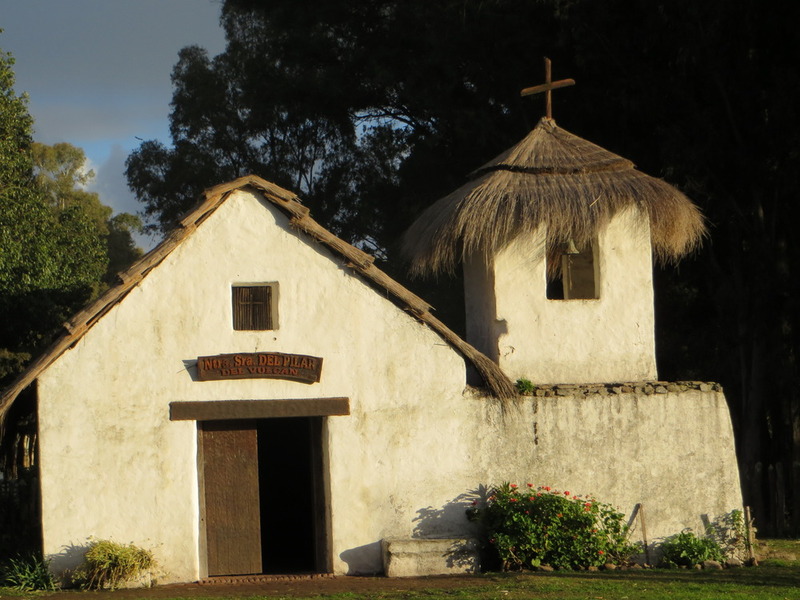 Before I could offer an invitation, my host mom, Silvana, in Santa Rosa asked if she and her daughter could join me for meetings in the LDS church just down the street. 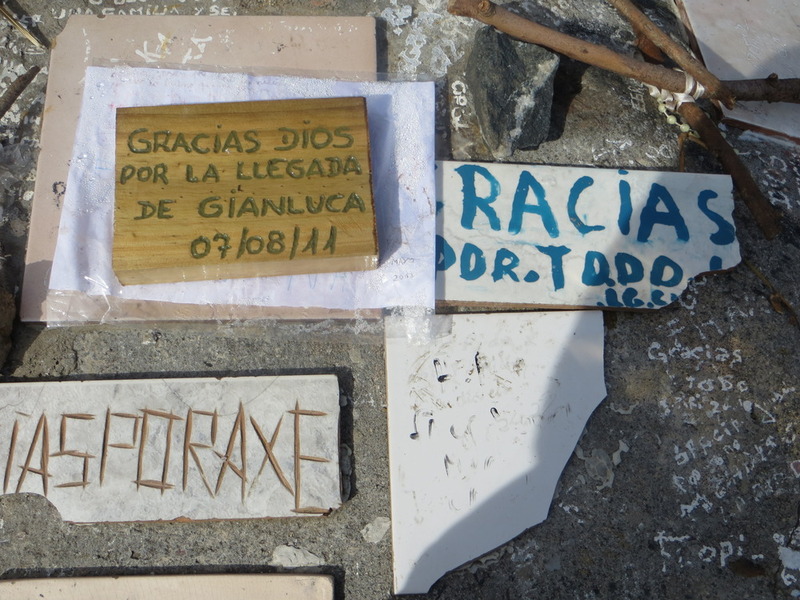 I gladly obliged and was impressed with the respect and consideration I was given in regards to my religious beliefs. Alonso (in Tandil) had even purchased malta (postum) for me to drink at coffee/tea time so I wouldn’t feel left out. 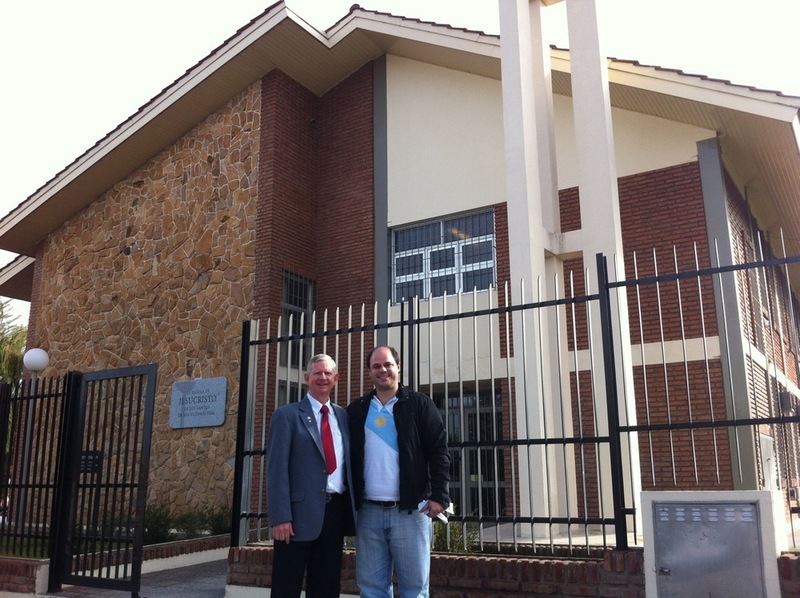 Pictured is Rich and his host, Franco in front of the LDS church in Santa Rosa. 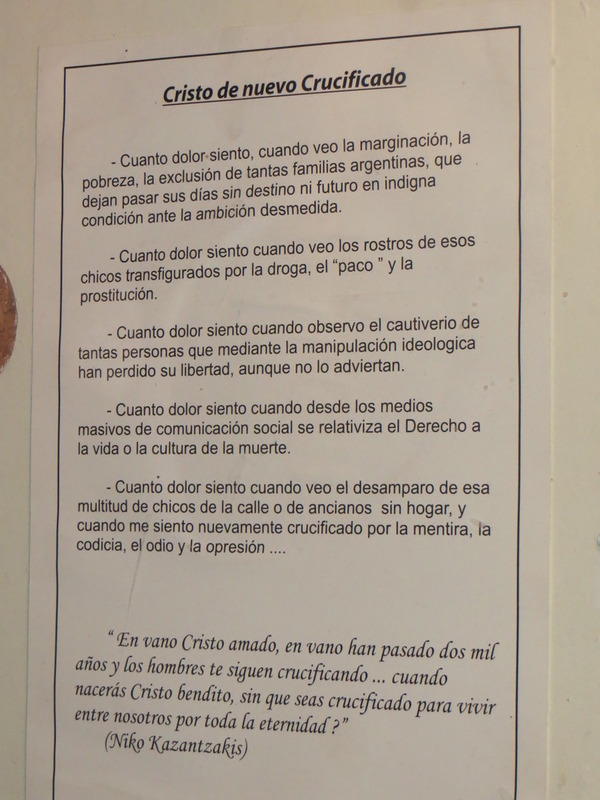 I joked that in Argentina they have no problem with the separation of church and state, but the fact is, this picture was taken inside a courtroom in General Acha. 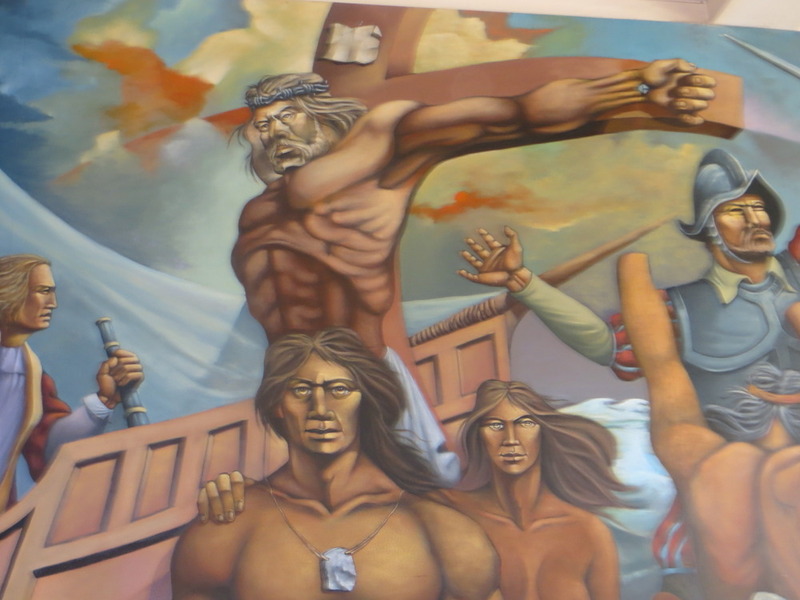 A very unique depiction of the crucifixion inside the municipal building in Trenque Lauquen. 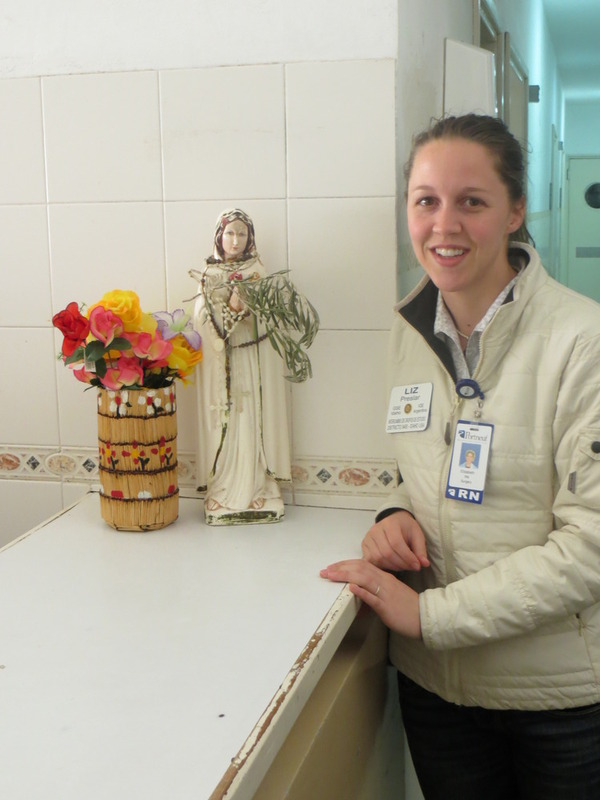 Religious figurine providing hope, comfort, and healing in the hospital in Trenque Lauquen. 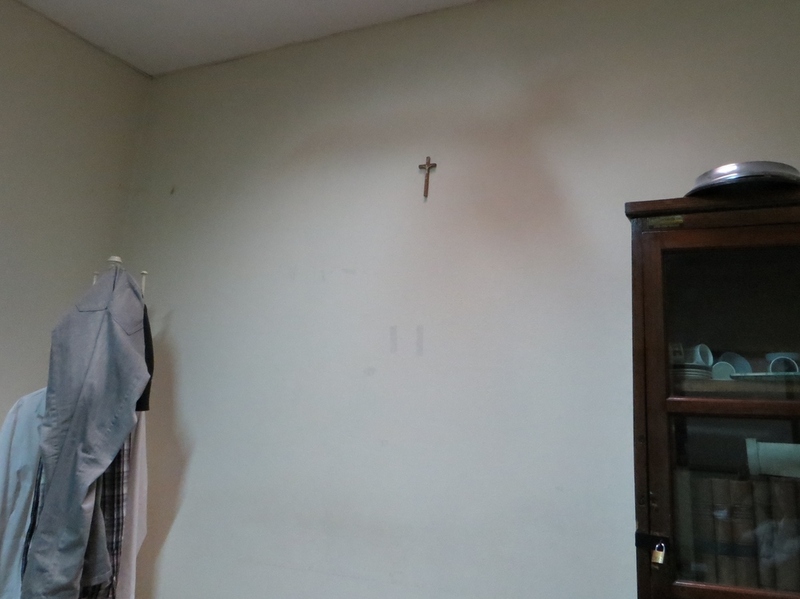 This crucifix is small but exemplifies the ever-present symbols of faith in Argentina. This photo was taken inside the operating room staff lounge in Bolivar. A few scenes from the German colonies outside of Colonel Suarez. 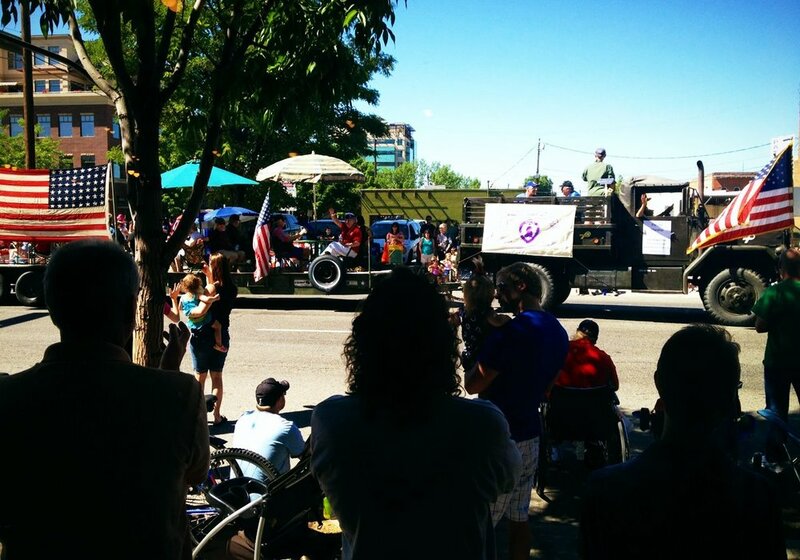 The streets were lined with alternating flags of Argentina, Germany, and Vatican City. 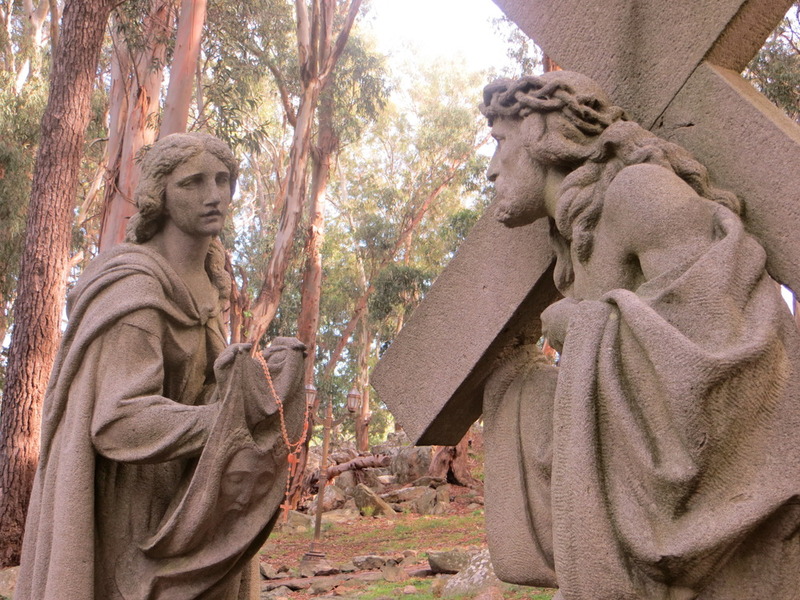 The carving of the woman was done long ago and shipped from Europe. It’s done in wood and won a prestigious prize in an art contest before taking it’s place in this church. 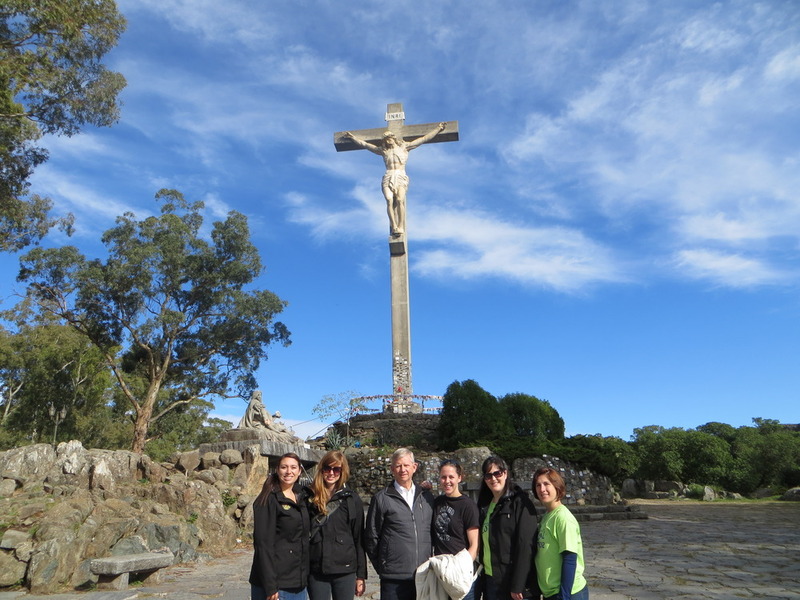 In Tandil we visited Mt. 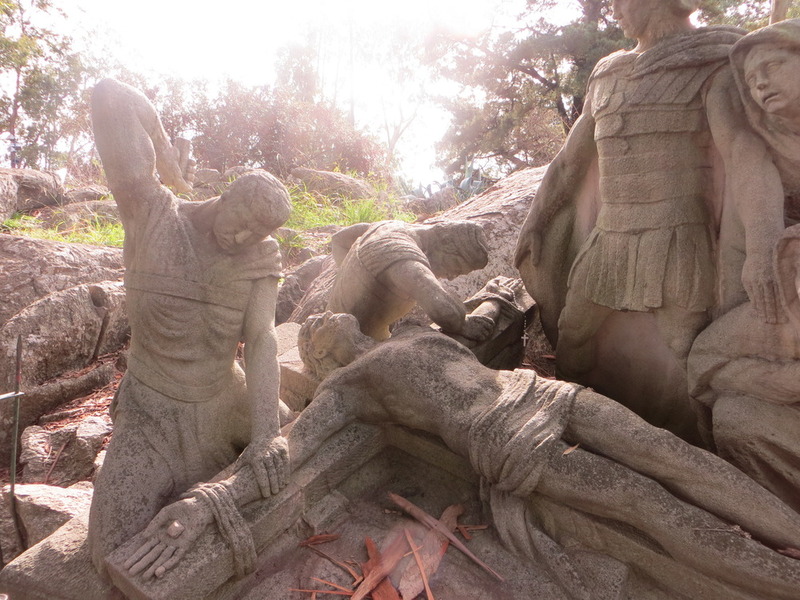 Calvary and viewed the moving images that make up the larger-than-life Stations of the Cross. 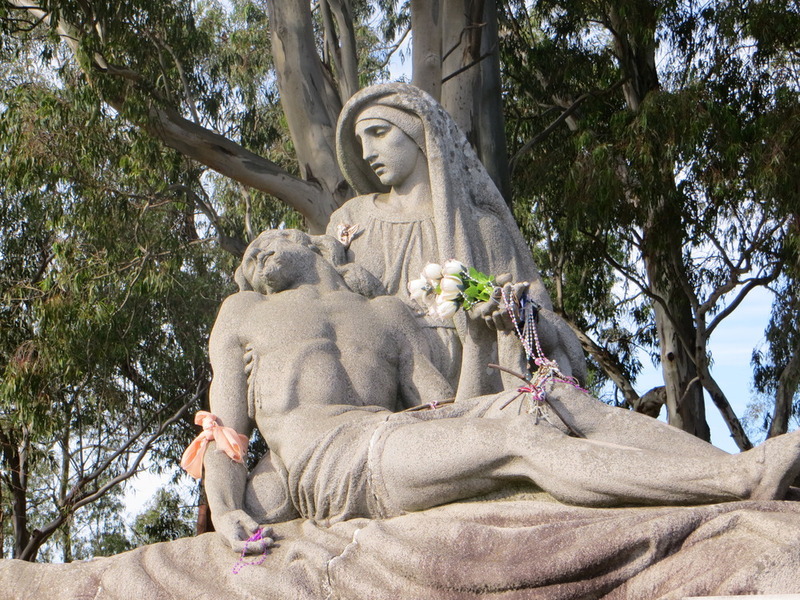 A religious tourist attraction all year long, people flock to Tandil by the tens of thousands during their Easter celebration. 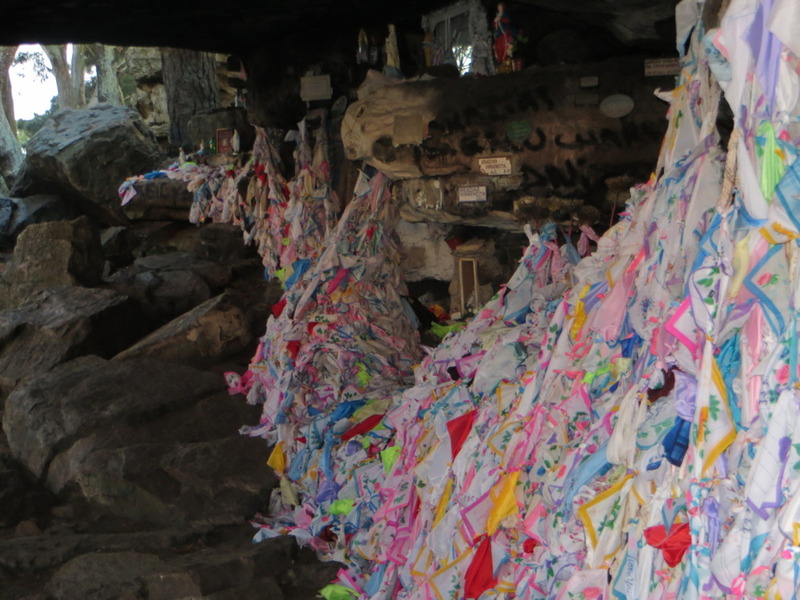 On our bus tour of the Mar de Plata area, we also stopped at the Groto of the Handkerchiefs. 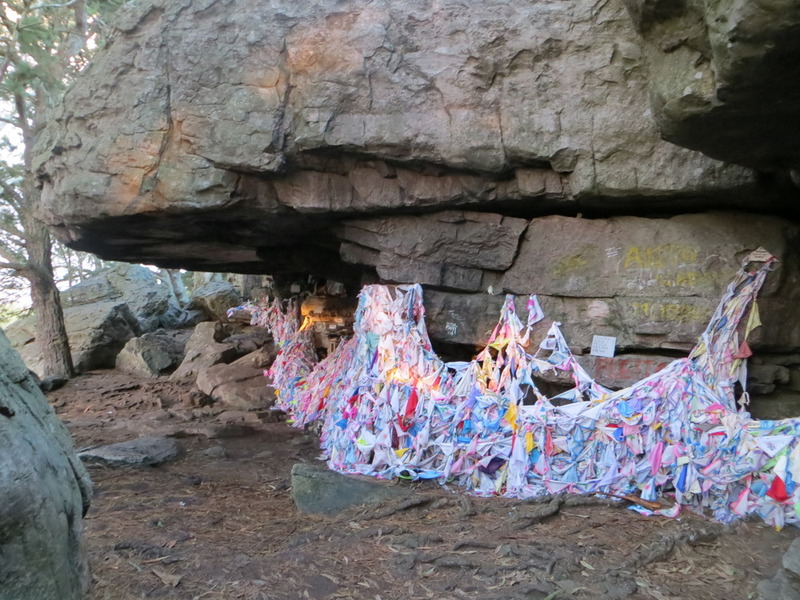 About 50 years ago a husband and wife were caught in a torrential rain storm and sought shelter under a big rock. 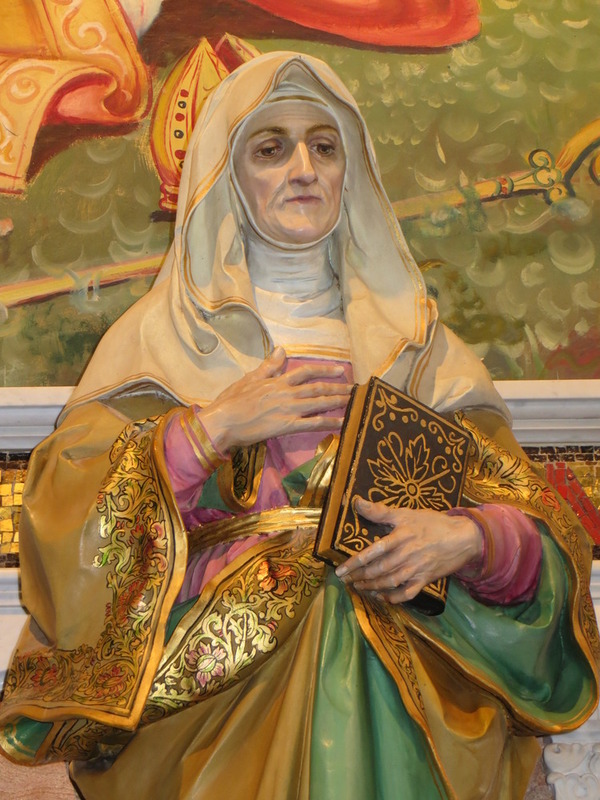 The couple each asked God for a miracle– he that their lives would be spared, and she, that she would become fertile and conceive. 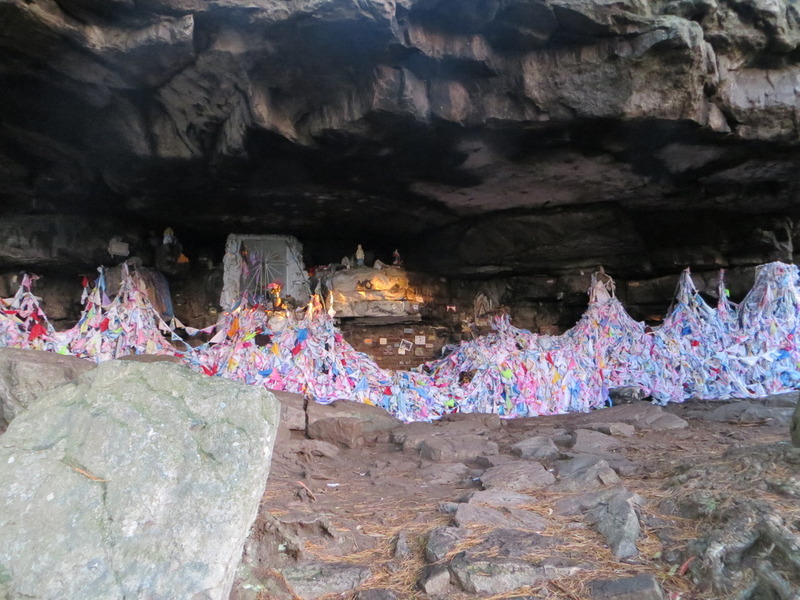 They sealed their covenant by tying a knot in a handkerchief. The miracles they prayed for were granted and thus the tradition began. The area is cleared every few weeks and then it starts anew. I found it humbling to stand in a place where so many thousands of people had expressed faith outwardly and asked God for a miracle. 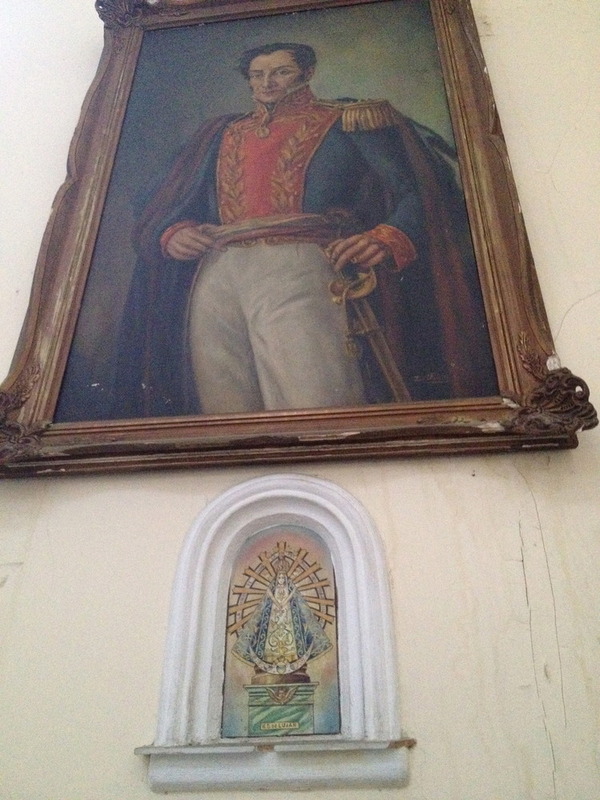 It seems appropriate that on the 4th of July I’m tackling a post that has been percolating for awhile – patriotism in both Argentina and America. 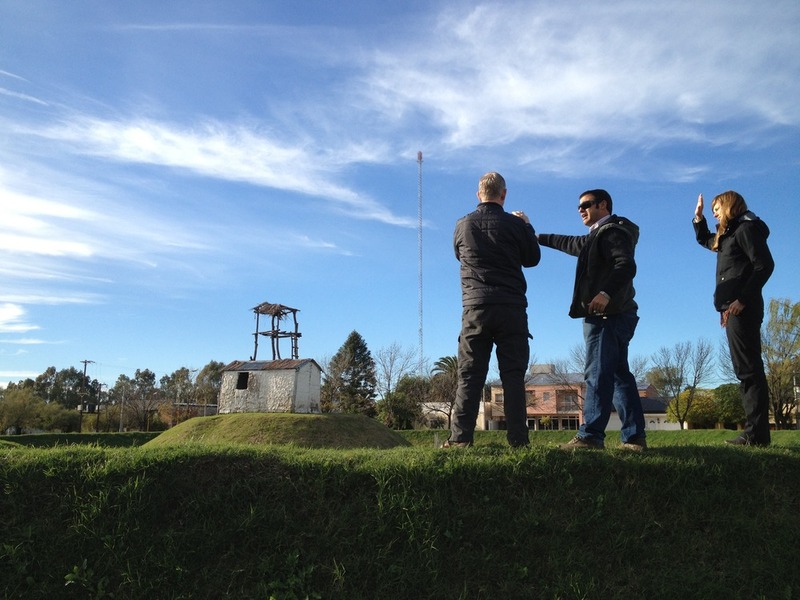 We were fortunate to be in Argentina for one of their most important national holidays – 25th of May – which marks the 1810 start of Argentina’s War of Independence from Spain. In a few days, Argentinians will mark another key holiday – July 9th – when the formal Declaration of Independence was issued in 1816. 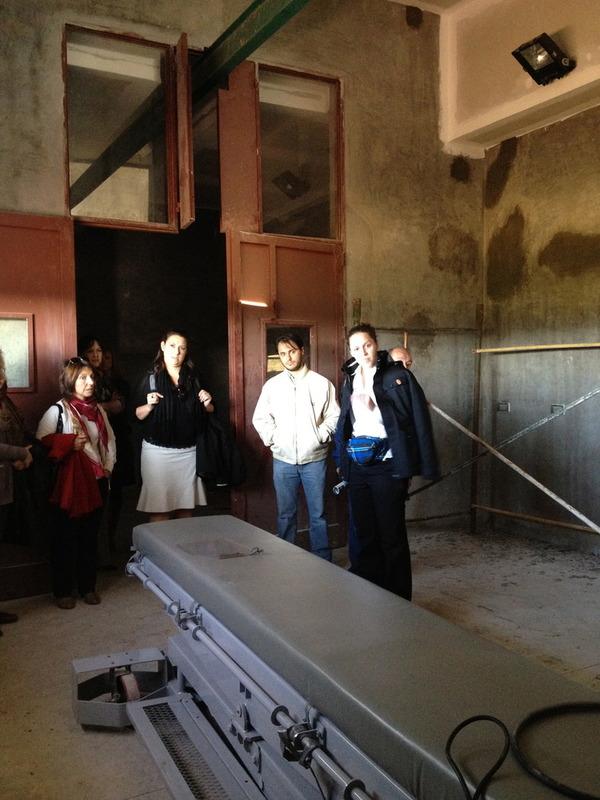 As we prepared for our Rotary exchange we were frequently reminded of a key component of our experience. We would represent not only our communities and our state, but our country. 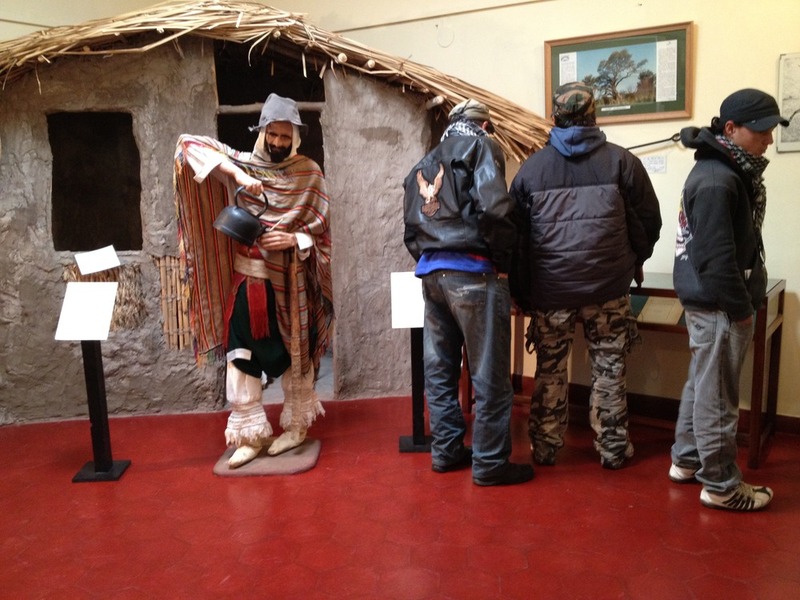 For many in Argentina, we would be the first Americans they would have met in person. Their opinions and ideas of what it meant to be American would have been developed through the mass media – movies, television and the news. And vice versa, the Argentine families we would live with and the Rotarians we would break bread with would represent their entire country – their hopes, dreams, passions and concerns. Chief among those passions and concerns was the discussion of patriotism, pride in one’s country and respect and understanding of its past and that impact on its future. These were my favorite moments throughout the exchange. Whether in a school classroom or over a cup of coffee, at a family asado or a Rotary dinner – struggling to put into words what it meant to be an American, what I liked most about my country, what I wished could be different, what I thought would change. Answering those questions without the pretext of party affiliation or assumed philosophical leanings was refereshing and eye-opening. Nosotros los argentinos, entendemos amar a la patria o al pais cuando defendemos nuestra camiseta de futbol. Creo que es mal entender lo que es querer a un pais. Nuestra deuda es que un pais notable es cuando sus habitantes paguen sus impuestos sin protestar, los gobiernos no sean corruptos y lo ejerzan con sabiduria y con intachable moral. El dia que que eso suceda, nuestro pais sera de primer nivel, porque tenemos mucho material humano de excelente nivel academico, materias primas muy variadas. 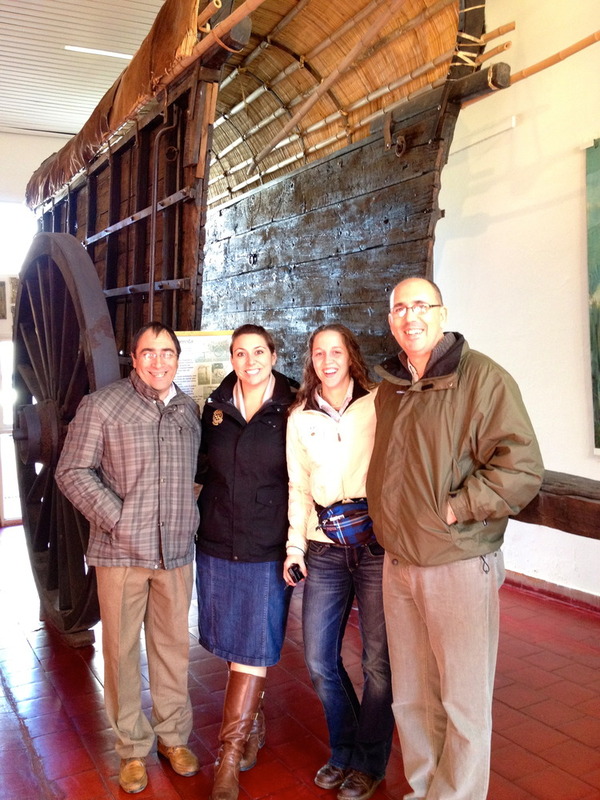 From my perspective, we were exposed to a significant amount of pride and respect for Argentina’s history. 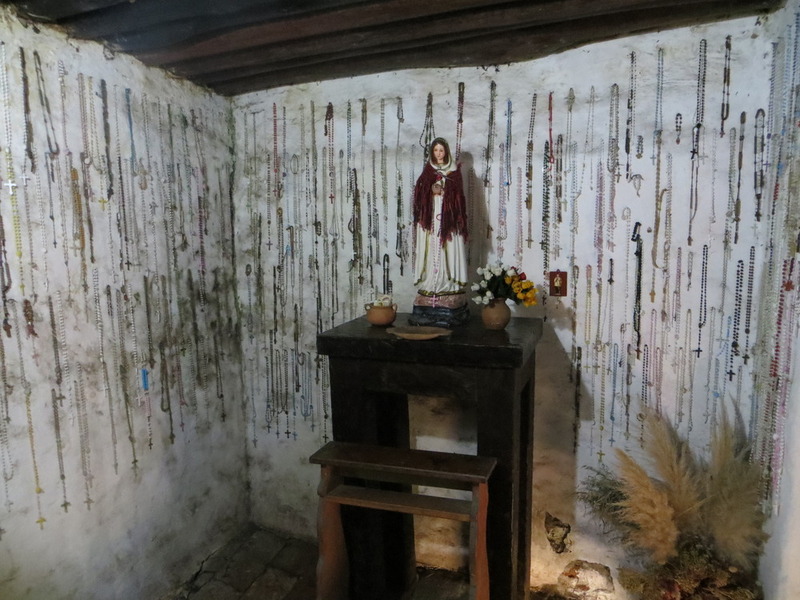 In nearly every city we saw odes to Jose de San Martin – the Liberator of Argentina, and visited historical museums marking the influence of the indigenous people, the early settlers and the liberation from Spain. It was also interesting to hear how many Argentinans perceived Americans – as patriotic, confident and full of pride for their country. Stars and stripes flying high regularly from every home. Unfortunately, I think the rancor, disrespectful discourse, partisanship and my own cynicism on the potential for cooperation and collaboration had clouded that view of my home. I needed to be reminded of the best of America. Here’s hoping that in America, and Argentina, we are always using our freedoms to push forward and be better nations. 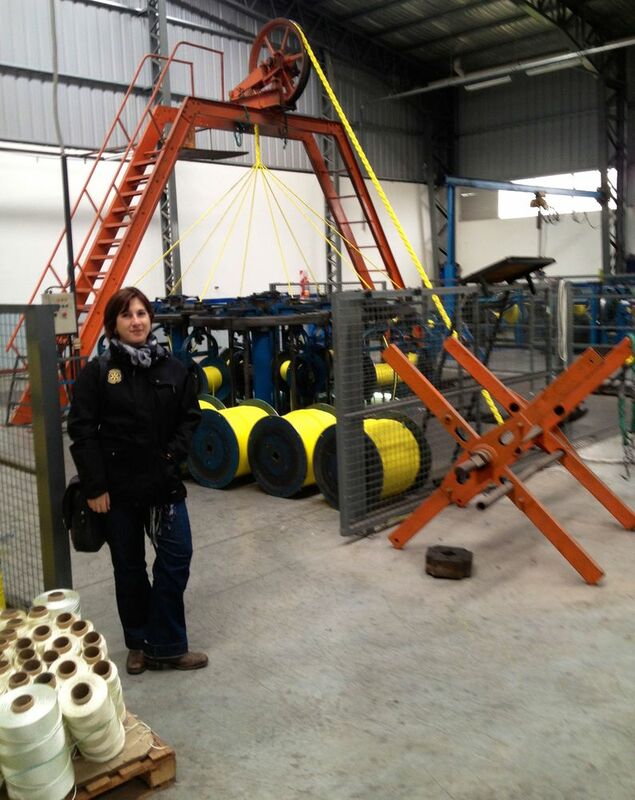 While every day of our exchange provided eye-opening moments, the tours of the various manufacturing facilites we were given access to were the most fascinating for me. 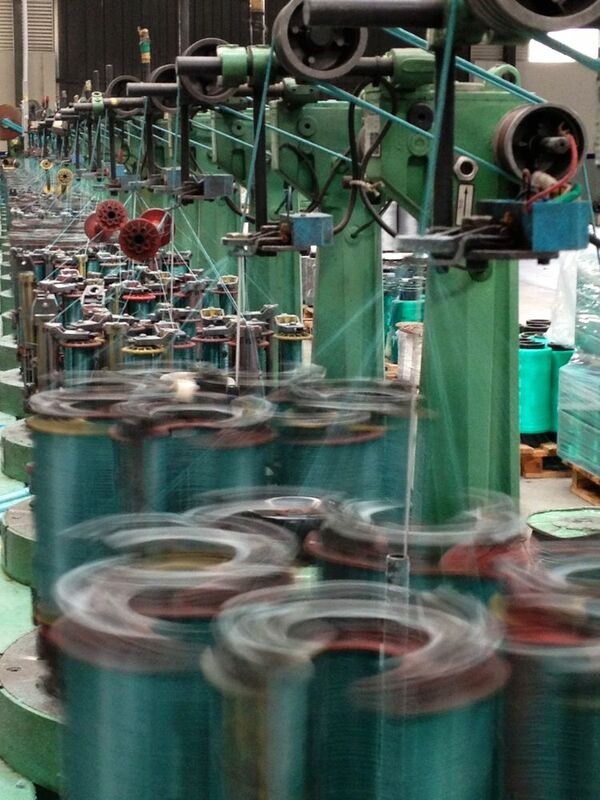 Never would I have thought that walking a production line would have been as inspiring as it turned out to be. 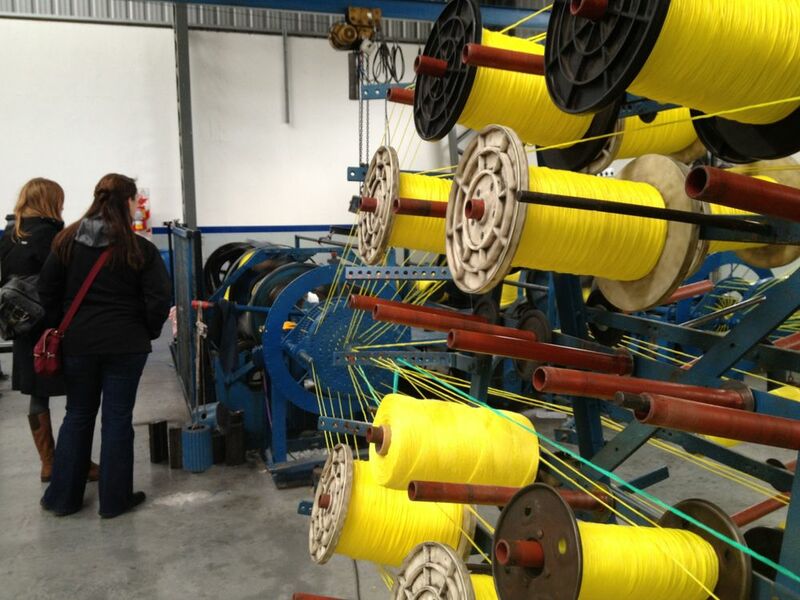 From cheese to sneakers, rope to sheetrock, Argentinians proudly showed us enterprises in their communities that are key to their economy. 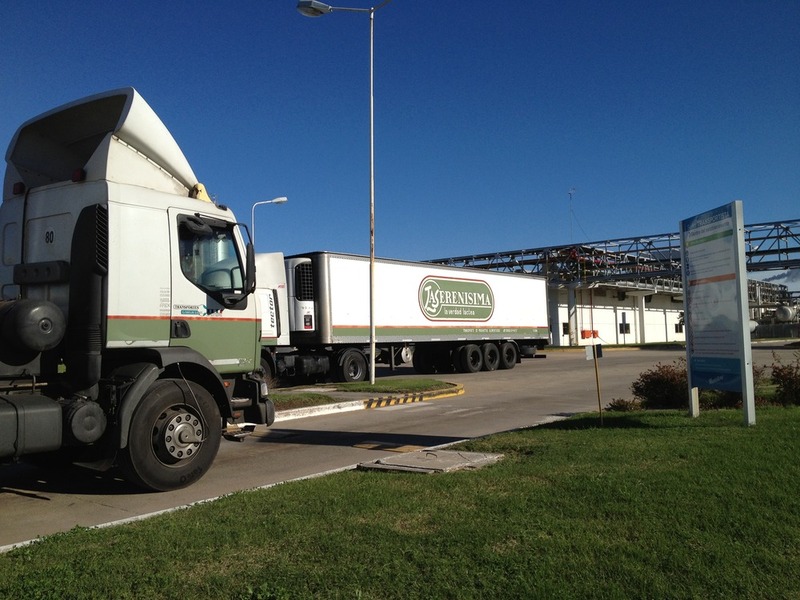 These tours came at a time when Latin America’s 3rd largest economy is in the global spotlight as President Cristina Fernandez makes several moves in an effort to strengthen Argentina’s economy – with mixed results and support. Among the headlines occuring around our trip. ‘De-dollarize’ Argentina & start thinking in pesos – the Argentine government virtually banned all dollar sales to tighten controls on foreign currency purchases. Argentina is a case study in how much is at stake. After introducing in February a new system for pre-approving imports, purchases from abroad fell 8 percent in March from a year ago. 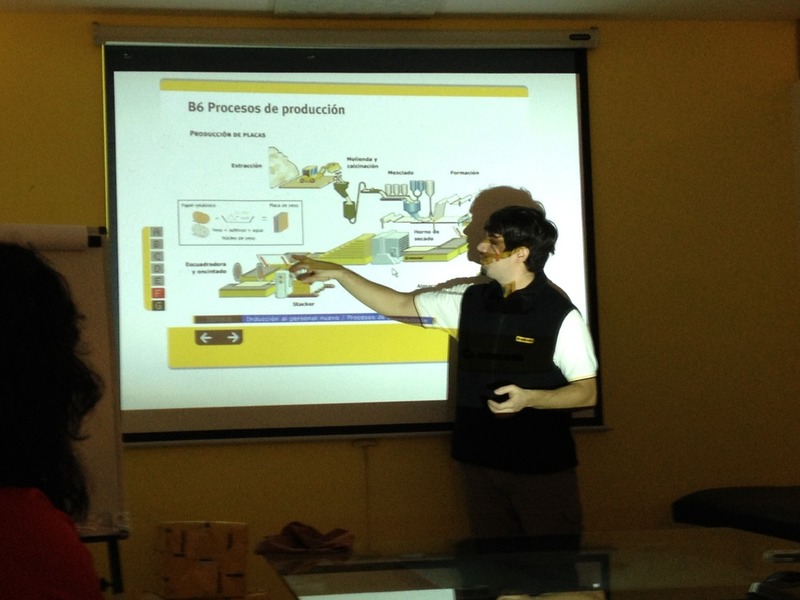 It was in this environment that we landed – and were welcomed inside multiple manufacturing facilites for an up close and personal look. Much like in the US, despite political and economic uncertainty and turmoil – life must go on and work moves forward. 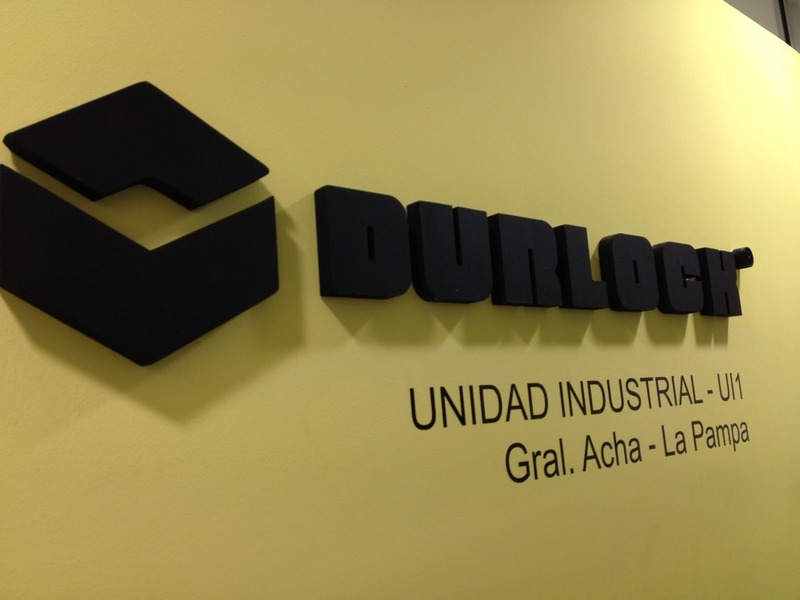 First – a presentation inside the Durlock sheetrock manufacturing plant in General Acha, La Pampa province. While safety and security concerns kept us in a conference room, we spent an hour with two members of the operations team getting a high-tech presentation on the entire process. Like in Idaho, agriculture, particularly agricultural production, is a huge component of the local economy here. Carne is king – as is dairy. 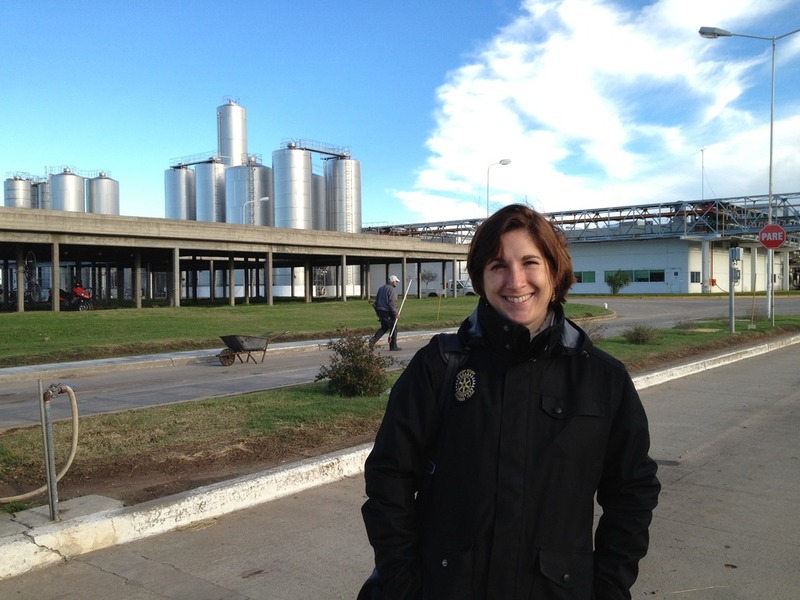 In Trenque Lauquen, we received a factory tour of La Serenisima – Argentina’s leading milk products manufacturer. While we could not take pictures inside due to security, privacy and competitive reasons, I can say that the level of technology and automation was impressive. As was the insights into the truly global operation that the factory represented – with leading edge technology and software components from across the world. It makes me wonder how the factory will be able to expand and upgrade when needed if their ability to import certain components is hindered by trade restrictions. 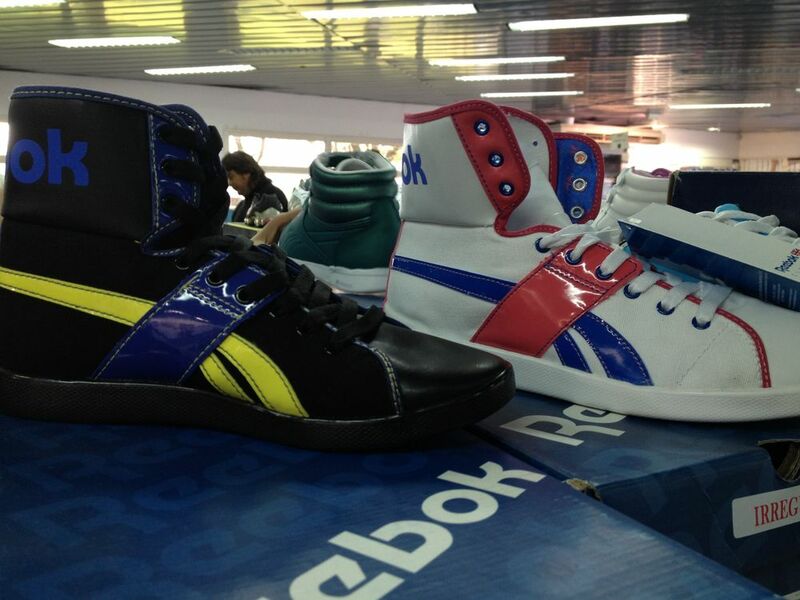 One of the most amazing tours had to be the Reebok factory in Coronel Suarez, Buenos Aires province. 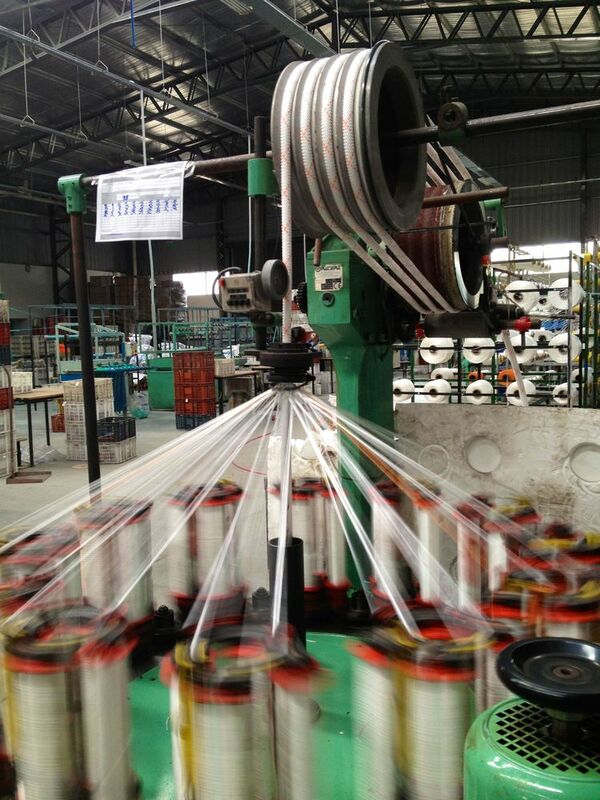 It is the largest Reebok factory in the world. While we got an up close and personal tour of the massive complex, we were not able to shoot photos inside for privacy reasons. 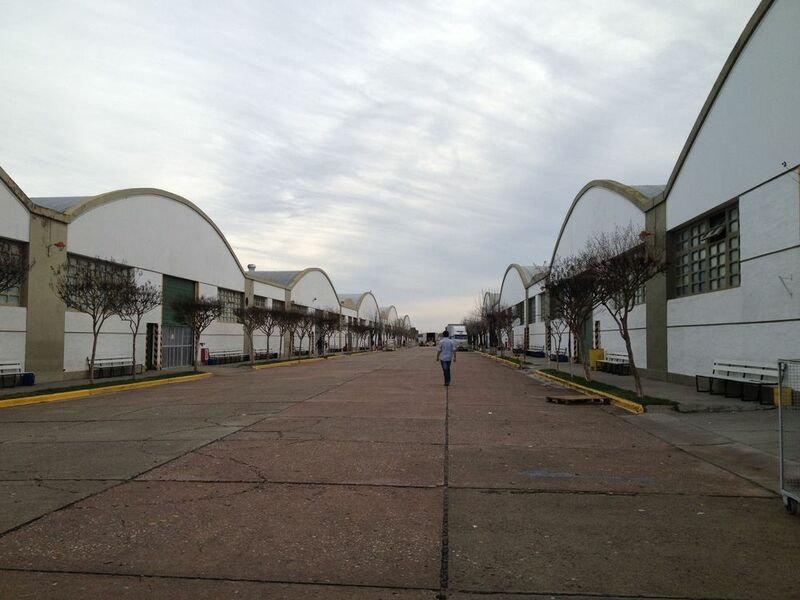 Inside these buildings 3,500 Argentinians work to produce 13,000 pairs of shoes a day. 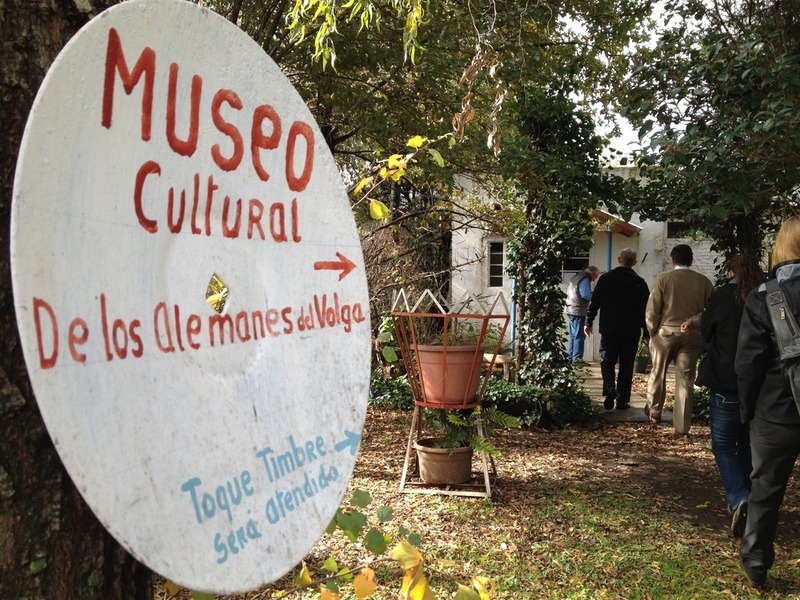 Originally, the factory was built here to be close to the German manual labor from the nearby German settlements in the towns around Coronel Suarez called ‘The Colonies’. It is hard to describe the feeling of seeing hundreds of people on an assembly line focused on producing the smallest elements of a material possession most of us don’t think about for more than 10 minutes at the cash register. The Reebok campus didn’t have any large branded signs – but instead had ’cause marketing’ type messages encouraging employee recycling, wellness and safety efforts. 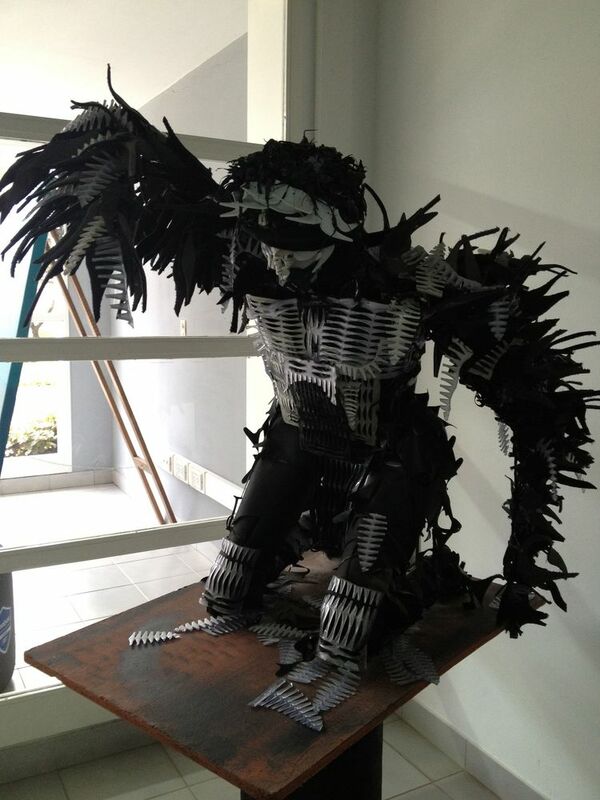 I also loved seeing how scraps from shoe materials were provided to local artists to create recycled art pieces. 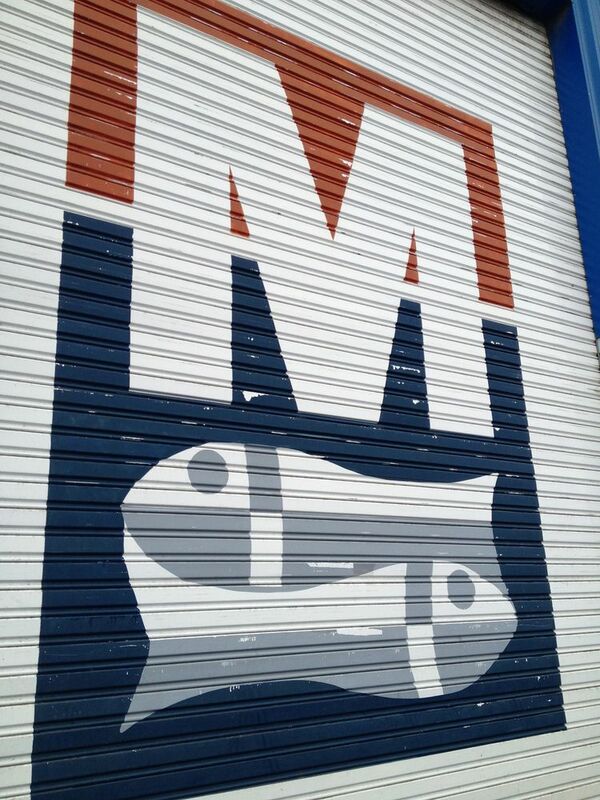 At the last town we visited, our wonderful Rotarian host brought us inside his company – Moscuzza: Artes de Pesca – which manufactures multiple components for the vibrant and important fishing industry out of Mar del Plata. 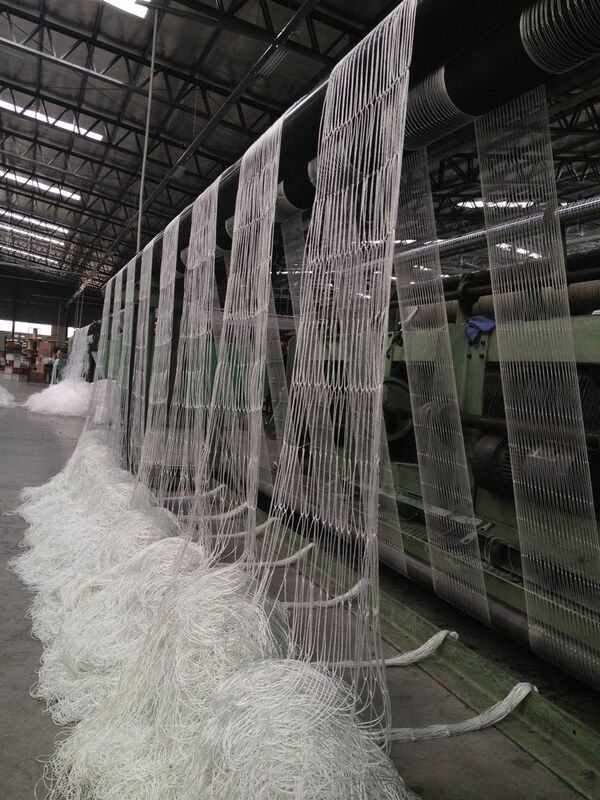 I never thought I’d be as amazed and awed by the technology and process of making ropes and net. 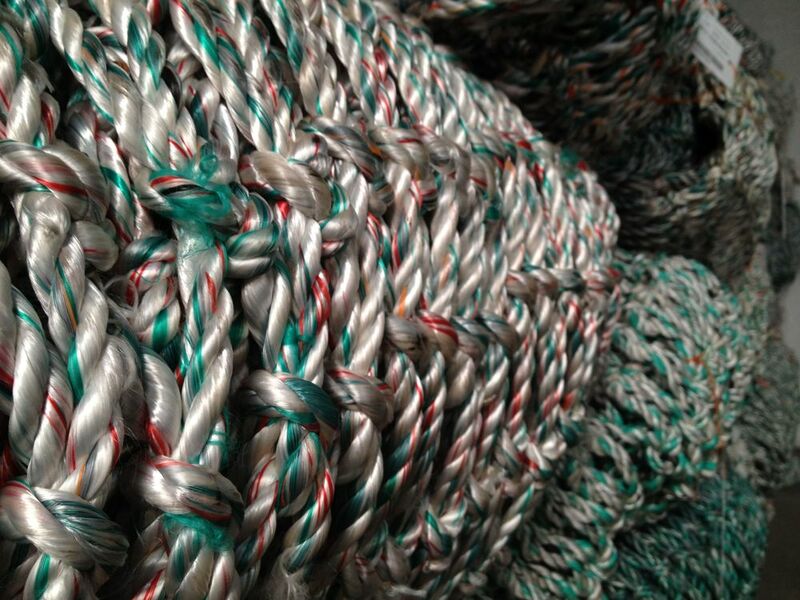 But the intricacies, like a ballet, of how a seemingly simple rope is crafted together was impressive. And getting up close and personal with the technology and more importantly – the people who ensure that the technology is operating as it should, when it should is humbling. In our fast paced world filled with mass consumerism and an enormous amount of products and goods at our disposal – it is a refereshing reminder that the origins of what you purchase are just as important to remember and honor as the end product. 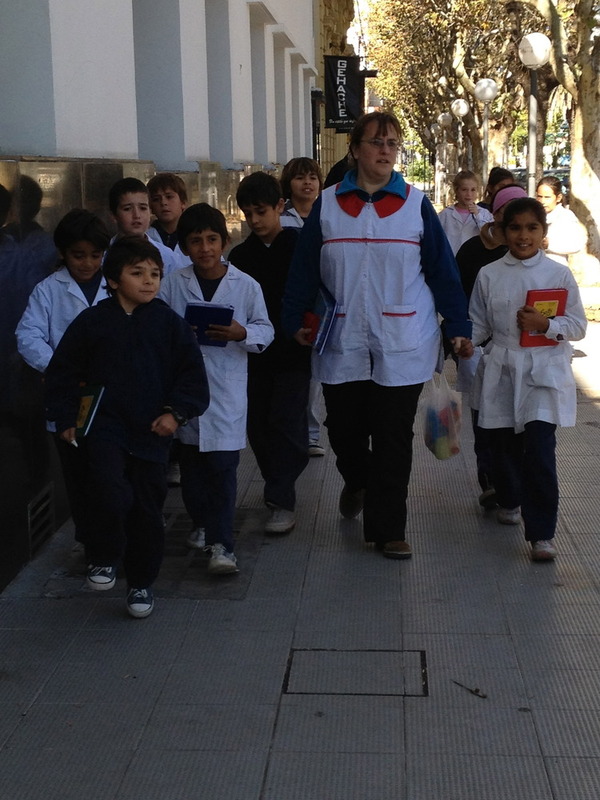 In every community we visited across the Buenos Aires Province and in Santa Rosa, education was a constant in our conversations. Whether our host families were employed in the education system as teachers/professors, had children in primary, secondary or university, or whether we were meeting with students in English classes in secondary school or private institutes – it was a strong presence. 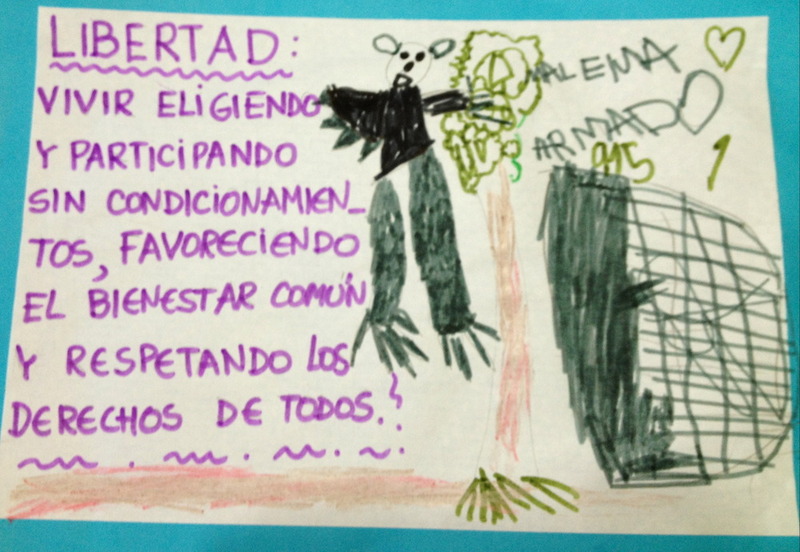 And like the common refrain heard across America, most Argentinians expressed the desire for an improved education system, particularly in the primary and secondary levels. – The universal frustration/unhappiness with the quality of the public education system for the primary and secondary students. Many families chose to send their kids to private schools, and/or to have them attend institutes where they learned English. Most of the pre-teens and teens we met had been taking English for more than 5 years already. – On the flip side – the pride and accessibility to higher education in Argentina was lauded. 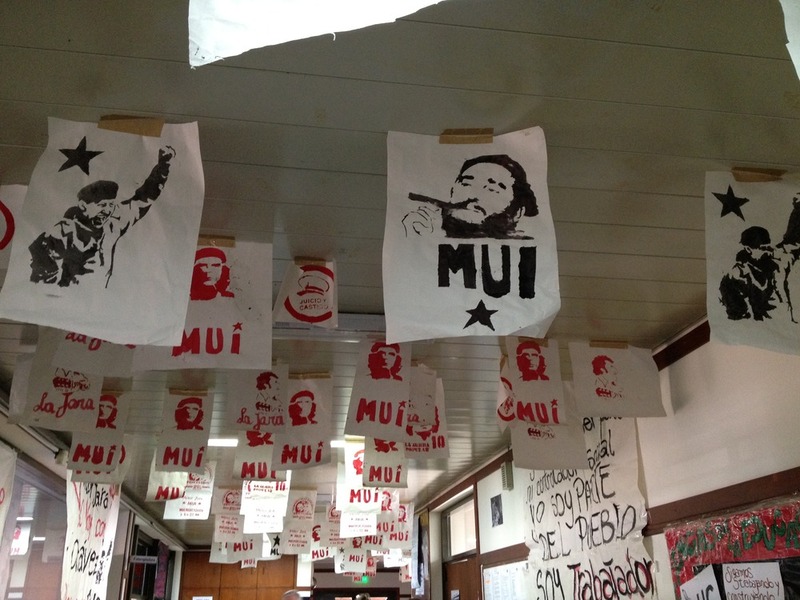 In Argentina, the public universities are considered superior in quality to the private. AND – the public universities are free to all residents. However free is subjective – it doesn’t include housing, books, food, transportation, etc. 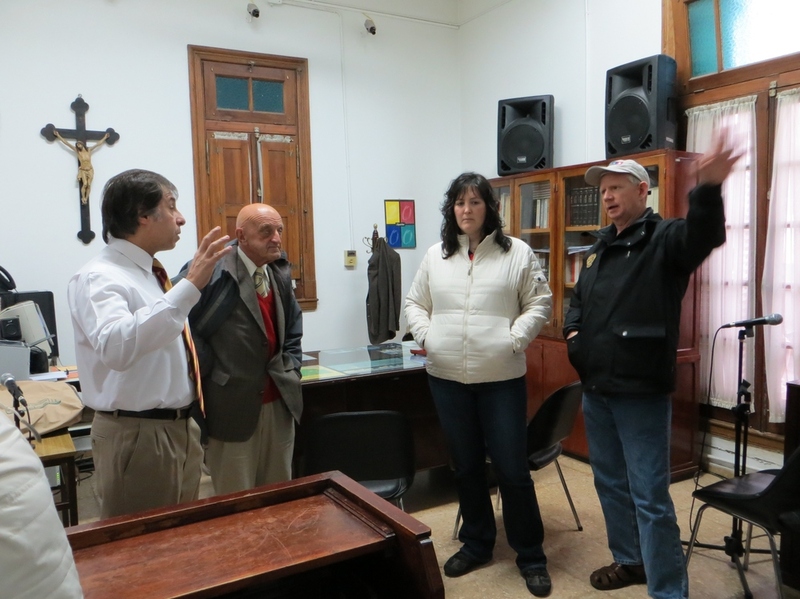 While in Tandil, I had the opportunity to meet with a local writer, Daniel Perez. 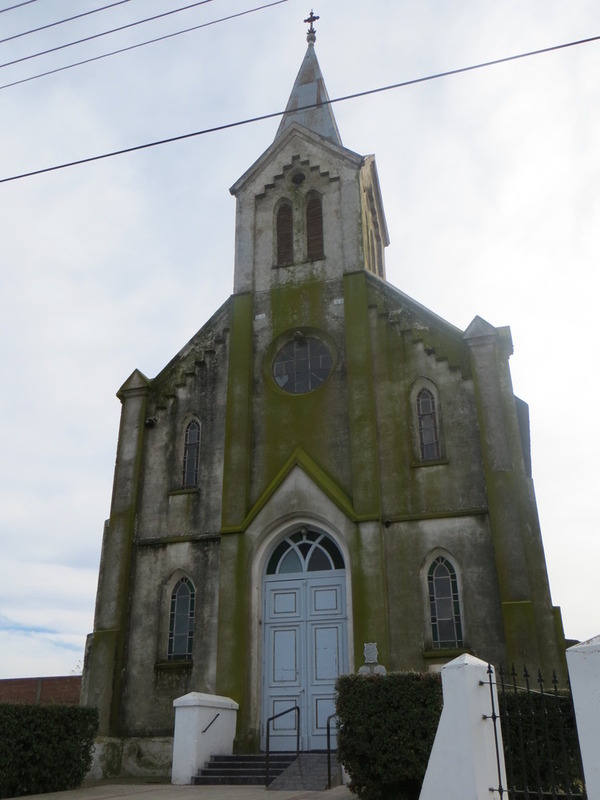 He has published numerous books detailing the history of his town, Tandil. When I asked him what his purpose in writing this accounts is, he said that it’s because he thinks in this global world, we’re so interconnected on a grand scale– via facebook, email, news, etc., but sometimes we forget the local history and where we came from and where we’re going. He said he writes for the youth of his town so that they will know their past. The answers are tougher to communicate that I would have thought. Friends who have previously travel on Rotary Group Study Exchanges had warned me that while this was truly a trip/experience of a lifetime, ‘re-entry’ would be difficult. 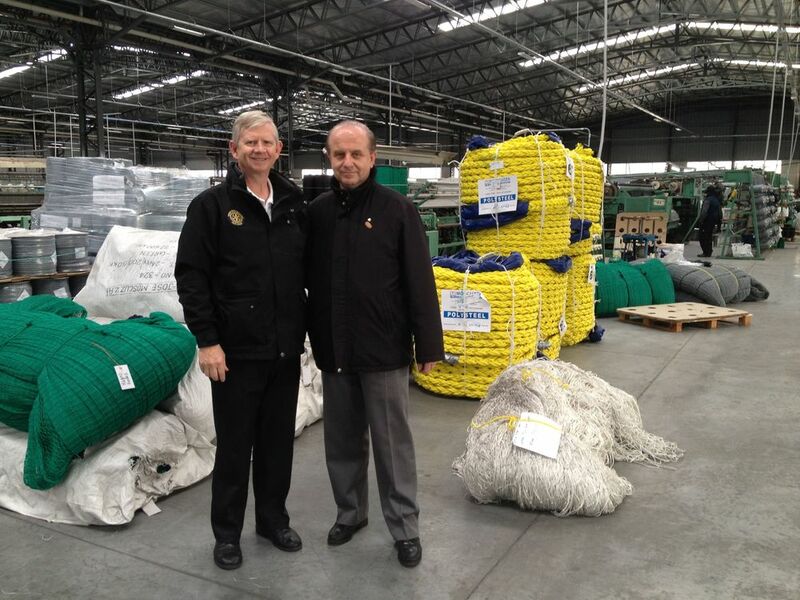 Friends and family and colleagues would never be able to truly grasp what we have been doing for 4-6 weeks in seven communities across two provinces of Argentina. An experience like we’ve had truly changes the fiber of your being. 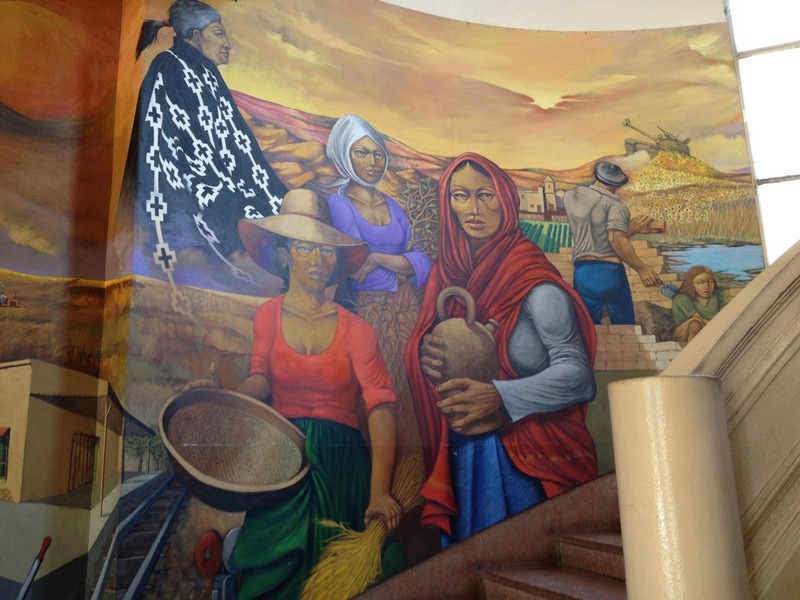 It makes you rethink preconceived notions not only about the country and communities you are visiting, but the country and community that you call home. It forces you to confront social, economic and political issues and questions that have no clean answers. It makes you appreciate what you have, and recognize that the most important things in life aren’t the material possessions you have, but the moments you share – both good and bad. If only that sentiment was honored more often. In less that 10 seconds, months of trip preparation and weeks of travel were all worth it. To be able to speak face to face with people about real issues, dispel mistruths, clarify preconceived notions and share in a very transparent way is an amazing feeling. You learn so much about a foreign country – and you also learn a lot about your own. It forces you to confront questions of patriotism, national pride and those things you wish you could impact and change. Travel after this will always pale in comparison to what it is like to learn about a country by living with the those who call it home. Meeting journalists from across Argentina, dedicated to practicing their craft in the face of immense changes. 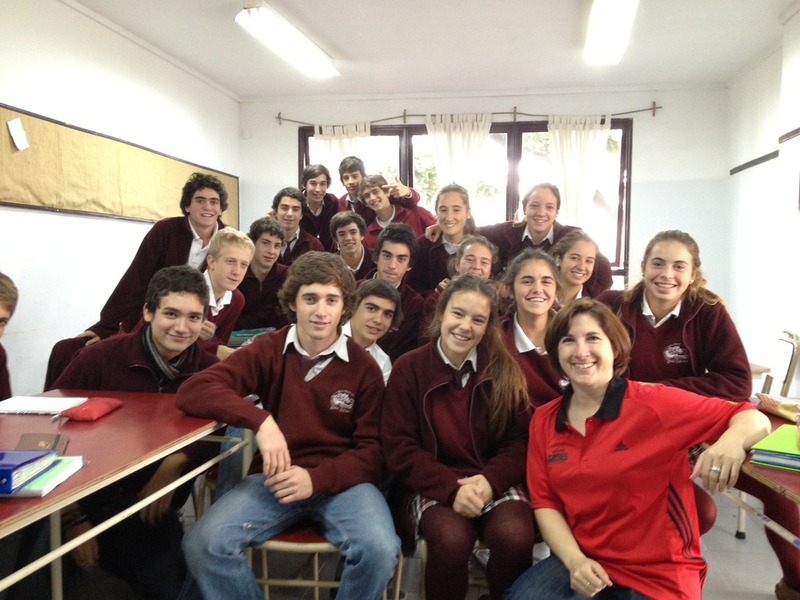 Answering tough questions from students in English classes – What were we doing on 9/11? How do we feel about Obama’s stance on gay marriage? What are the biggest issues facing America? What do we think about the war in Iraq/Afghanistan? What do we think about Argentina’s future? 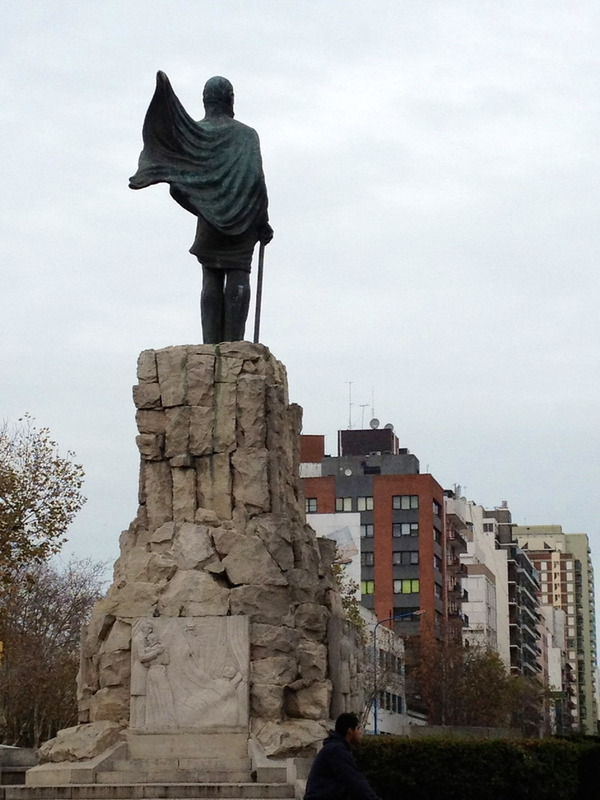 Being in-country for May 25 – celebrating the start of Argentina’s fight for independence from Spain. And all of the moments before and after where Argentines showed their pride in their country’s history and perseverance through turmoil, adversity and uncertainty. 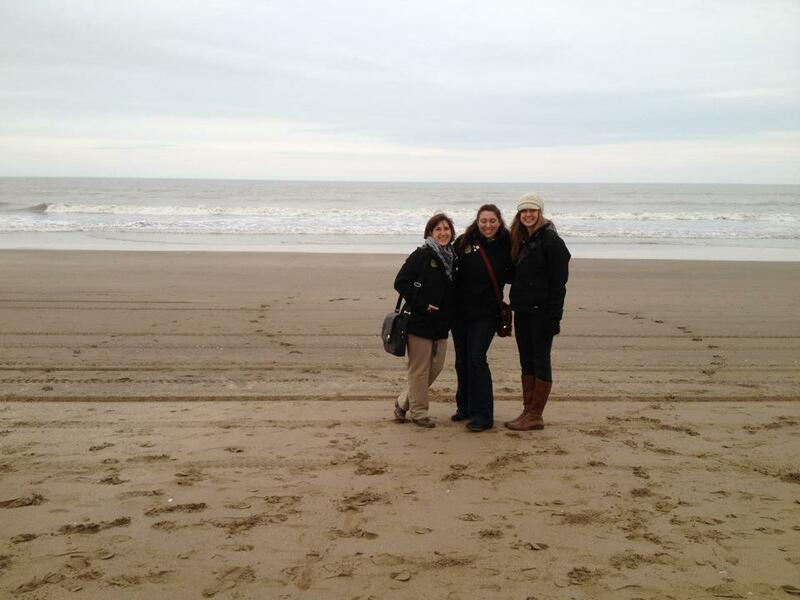 And finally, forging friendships that will last a lifetime despite language barriers, borders and thousands of miles. El ? ?ltimo pueblito en nuestro itinerario fue General Madariaga. Llegamos el viernes a una bienvenida de Rotarios quien nos llevo a las casas anfitrionas. En la noche asistimos una reuni? ?n especial de Rotary donde conocimos al Gobernador del Distrito, Cesar Stafforini, como el club ingreso dos socios nuevos. Compartimos la presentaci? ?n de nosotros e Idaho a la misma vez conociendo a los Rotarios. S? ?bado en la ma? ?ana el Secretario del Gobierno y la Presidente de la C? ?mara de la Ciudad reunieron con nosotros en su d? ?a libre. Compartieron informaci? ?n de la ciudad, los problemas, y los planes del futuro. Almorzamos un asado bien rico en la estancia de un Rotario y de all?? fuimos a un pueblo, Pinamar, a conocer a la playa y el negocio de un Rotario que es de ATVs y motos. De Pinamar fuimos a Calilo, que es una ciudad ? ?nica que es dise? ?ada as?? que la naturaleza es mantenida. El mantenimiento de la naturaleza significa que las calles no son de asfalto. En la noche algunos maestras de ingles nos invito al equipo de IGE a cenar una cena de pizzas y postres. El d? ?a siguiente fue especial como cada miembro de IGE tuvo la oportunidad de gastar tiempo con las familias anfitrionas haciendo las actividades ???t??picas??? de un domingo. Algunos miembros fueron a fiestas de cumplea? ?os, cuando otros almorzaron en la casa de abuela a comer una comida con cuatro generaciones de la familia. Esos momentos son algunos de los mejores de la experiencia de IGE. 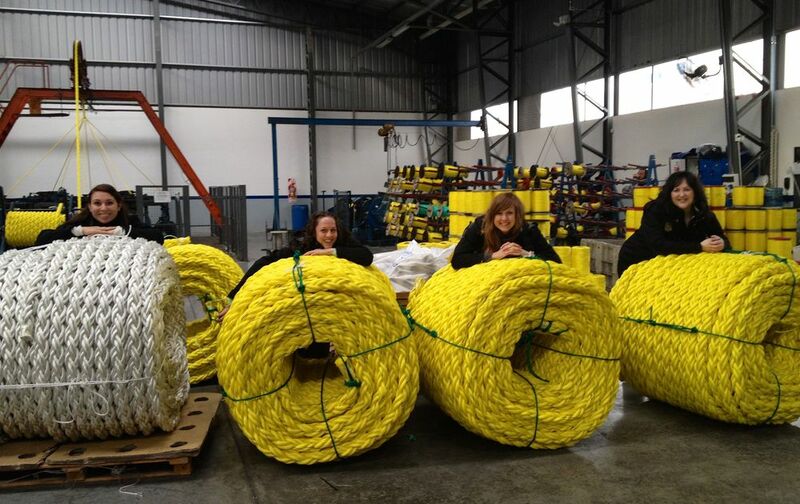 En la tarde domingo el equipo de Idaho tuvo la oportunidad a ir un rodeo t? ?pico de Argentina (ver la entrada de Jessica). Fue interesante ver no solamente los eventos, pero a observar a la gente tambi??n. Despu? ?s del rodeo visitamos a un museo arqueol? ?gico y aprendimos de los aspectos de f? ?siles y otras cosas que todav? ?a est? ?n encontrados en el campo alrededor de General Madariaga. Una visita a la estaci? 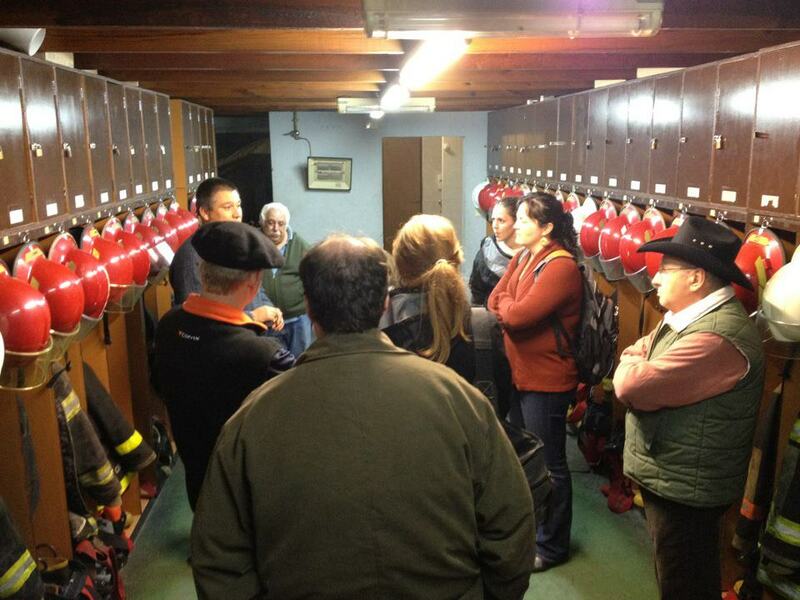 ?n de los bomberos voluntarios nos dio una oportunidad de entender un proyecto a traer a los clubes de Rotary en Idaho. La visita corta a General Madariaga termino con una cena informal en la casa de Rotary. Otra vez la hospitalidad de los Rotarios no impresion?? much??simo. Todav? ?a continuamos a estar sorprendidos que en poco tiempo conocemos y acercamos a nuestros amigos nuevos y las familias anfitrionas durante las visitas cortas. Much? ?simas gracias a la gente de General Madariaga! 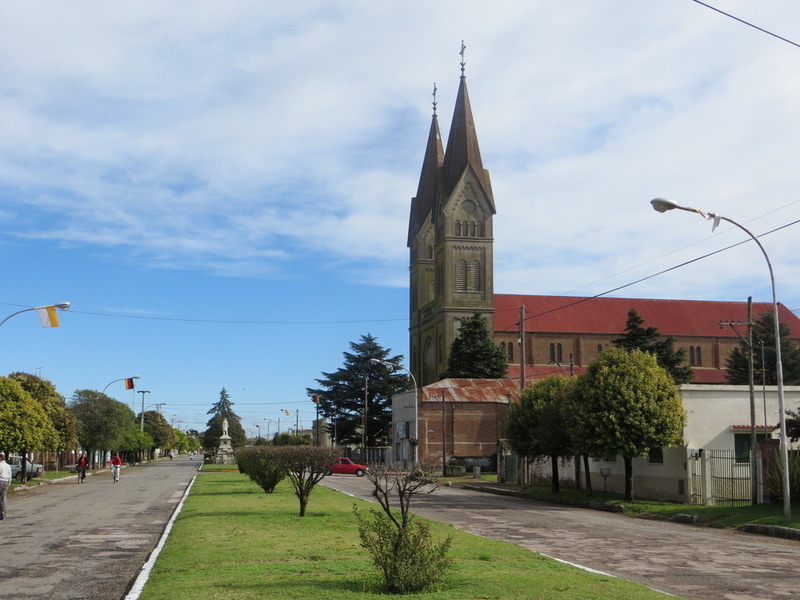 The last smaller city on our itinerary was General Madariaga. We arrived on Friday to a welcoming group who took us to our respective host homes. That evening we attended a special Rotary meeting where we were joined by the District Governor, Cesar Stafforini, as the club was initiating two new members. We shared our presentation about ourselves and Idaho while getting to know the great Rotary club members. Saturday morning the mayor?? ?s Chief of Staff and the City Council President were kind to meet with us on their day off to share information about the city, its challenges and its future plans. 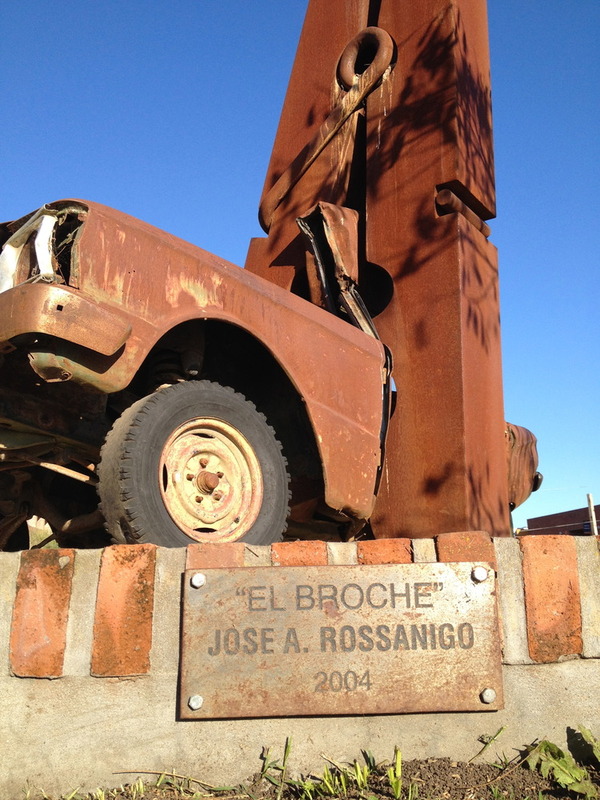 We had a wonderful asado lunch at the ranch of a Rotarian then headed off to a nearby town, Pinamar to check out the beach and the ATV and motorcycle business of one of the Rotarians. From there we went to Calilo, which is a unique city which has been designed so that the natural surroundings are preserved. This means that even the streets are dirt roads versus having asphalt. In the evening some local English teachers hosted the Idaho GSE team to a great dinner of homemade pizzas and desserts. The following day was a special one as each GSE team member was able to spend time with their host families doing ???typical??? Sunday activities. Some went to birthday parties, while others went to the ranches for family meals, as others went to grandma?? ?s house to have a Sunday meal with four generations of family members. These moments are some of the highlights of the GSE experience. 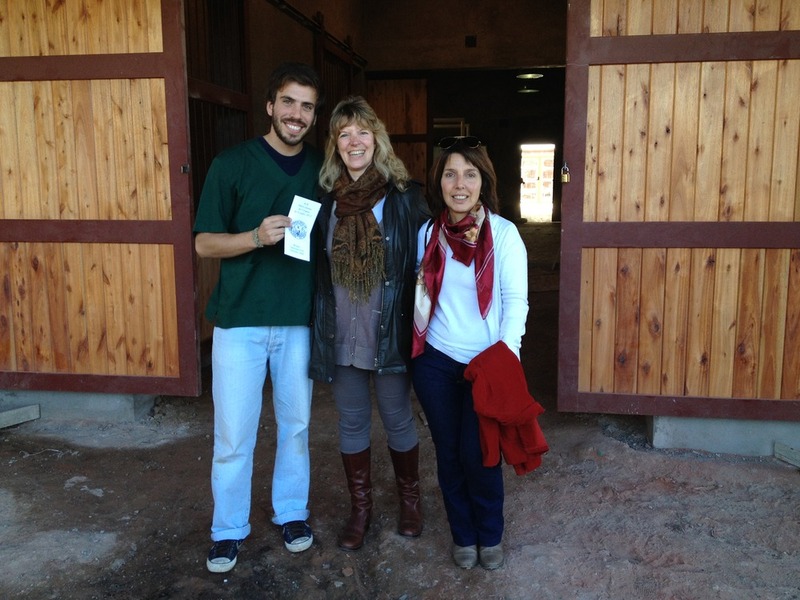 Later on Sunday the Idaho team had the opportunity to experience a typical Argentine rodeo (see Jessica?? ?s post below). It was interesting to watch not only the events, but observe the people. After the rodeo we visited an archeological museum and learned about many aspects of fossils and other artifacts that are still being found on ranches and farms in the local area. A quick stop to the local volunteer fire station gave us an opportunity to understand a potential service project to bring back to the Idaho Rotary clubs. Our short visit to General Madariaga came to an end with a great send-off dinner at the Rotary house. Once again we were impressed with the hospitality of the Rotarians. It continues to surprise us how quickly we can become attached to our new friends and host families during these brief visits.